For the first time last month both Unley Oval and Playford Alive Oval (Elizabeth Oval) hosted NAB Challenge matches. In order to be able do so, both ovals were required to upgrade their current AFL Goal Posts to much taller posts than they currently had. Both grounds required a premium quality product which would stand the test of time. Abel Sports, through its South Australian agent IPOS Consulting were selected to provide a set of GP12000 12m AFL Goal Posts at Unley Oval (top picture) for the Adelaide Crows v West Coast Eagles match played on 21st February where the Adelaide Crows proved victorious with a 100 point winning margin. 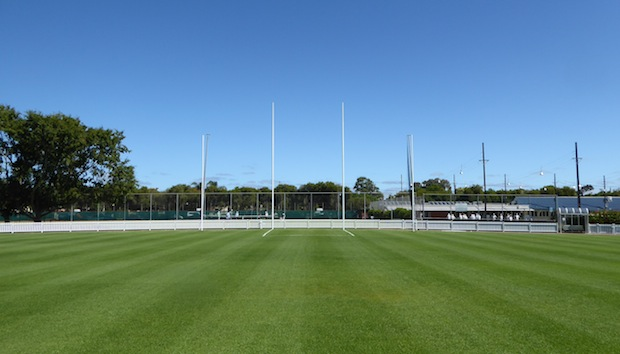 An even larger set of GP15000 15m AFL Goal Posts were installed at Playford Alive Oval (right) for the Port Adelaide v Melbourne match played on 27th February. This match showed Melbourne display a reversal of form over the 2015 season with a 19 point win in a closely contested match. Abel Sports General Manager Peter Mercer commented, “Abel are proud to have supplied premium quality AFL Goal Posts to many grounds & stadiums for The Nab Challenge Series. 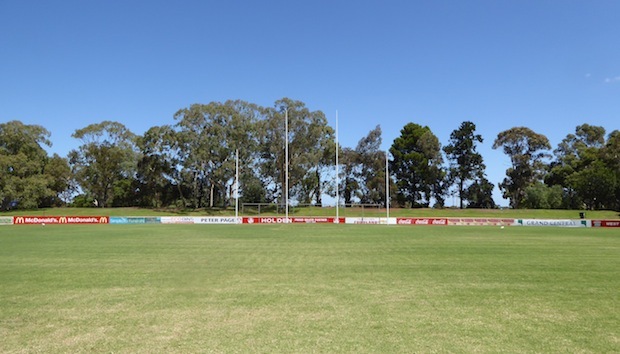 Both Sturt Football Club based at Unley Oval and Central District Football Club at Playford Alive Oval now have the best quality AFL Goal Posts available. This will guarantee them many years of trouble-free use”. For further information, please contact Shane Parton at Abel Sports on 1300 193714.